Blog Spring has arrived in Cornwall! Finally, the evenings are gradually getting lighter again, which can only mean one thing…spring is just around the corner. And what’s more, with Easter at the end of March this year, we’ve got plenty of space in March and April for the perfect spring break on the Roseland Peninsula. 1. 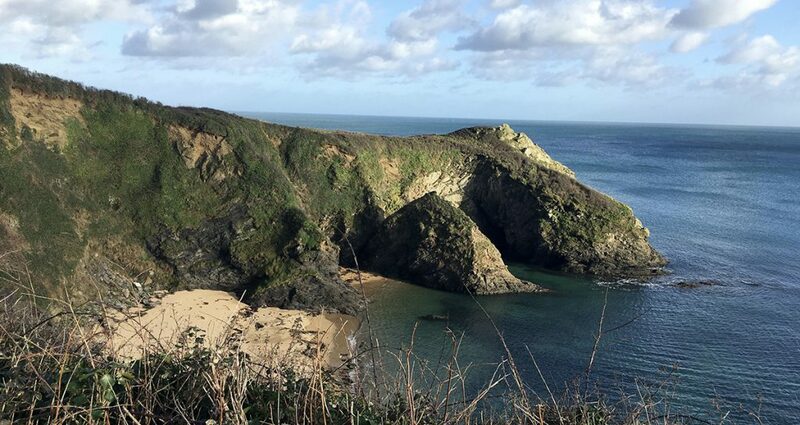 Visiting in spring is the perfect opportunity to enjoy all the best the Cornwall has to offer, with weather that tends to be good more often than not, before all the summer crowds arrive. Think beaches all to yourself, clear roads and more space to breathe than in the busier summer months. 2. All the amazing gardens start to come into bloom and it’s a feast for the eyes and the senses. There’s plenty to explore close by and on the 21st and 22nd April the historic Tregothnan Estate are throwing the doors open for the weekend to the usually private gardens. Also close to home is Caerhays Castle where you’ll find a stunning selection of magnolias. 3. On the same weekend, there is also the annual Porthleven Food Festival. A lovely day out from Roundhouse Barns, Porthleven is quietly gaining a superb reputation for great food in a perfect setting. It’s a lovely day out about half an hours drive from us, but well worth it if you like discovering new places. 4. Spring is a great time to explore the Area of Outstanding Natural Beauty surrounding Roundhouse Barns. Dodge the April showers discovering the Fal Estuary where it’s easy to get around with a Fal Mussel Card – Cornwall’s answer to the Oyster Card and perfect for enjoying the network of ferries, buses and trains that link Falmouth, St Mawes and Truro. 5. This spring also sees the Falmouth Flower Festival make a welcome return on the 24th and 25th March. Glorious displays of locally grown flowers, floral arrangements, specimen plants, photography and local trade stands. It’s the first in a line of successive flower shows which take place around Cornwall to showcase the best of Cornwall spring flowers. Many growers exhibit here. The great thing about coming to stay with us is there’s always something to do if you want to do it. However if you don’t want to be busy every day you can kick back, relax and unwind in our beautiful cottages. All you need to do is pop the kettle on, tuck into a homemade scone and the rest will look after itself.